There are currently no Southern Stronghurst, IL notable alumni listed. Be the first to add an SHS famous alumni. Create a Southern High School Stronghurst, IL memorial for an individual alum that has passed away. There are currently no memorials for Southern Stronghurst, IL alumni. 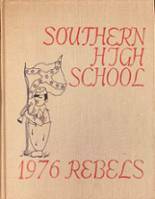 This site has been created for the former students of Southern located in Stronghurst, Illinois. 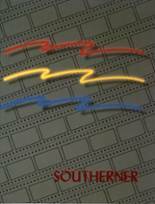 For former Southern students from IL, you can view the class reunion information that has been posted by other site visitors. In addition, we encourage you to post your profile in the alumni directory, share information about the school activities you were involved with and reconnect with Southern High School alumni. If you haven't already, we also encourage you to register for free on this site. You may also want to check out the latest news and school memories. Edwin Siens has someone searching for them. Dianna Seats has someone searching for them. Lewis Allen has someone searching for them. Trey Newton registered as a SHS alumni. Trey Newton added photos to their personal photo gallery. Trey Newton updated his profile picture. Donna Asamoah registered as a SHS Class of 1981 alumni. Donna Asamoah added photos to their personal photo gallery. Donna Asamoah updated her profile picture. Tiffany Magner registered as a SHS Class of 2002 alumni. Tiffany Magner added photos to their personal photo gallery.